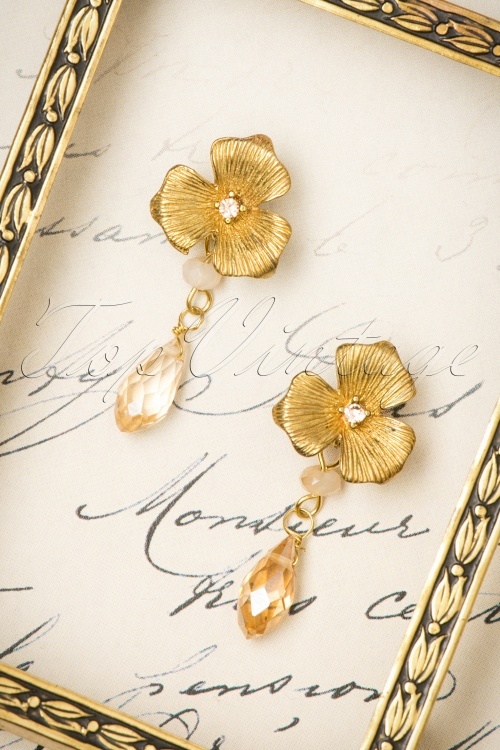 These 20s Honey Rose Drop Earrings in Gold are true gems! Always wear earrings at the very least! 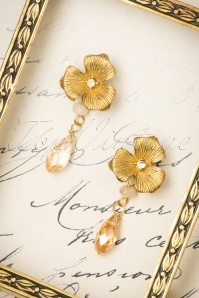 For example these beauties ;-) Made from honey gold metal shaped like a flower, set with a tiny rhinestone in vintage pink. The drop-shaped facetted pendant in vintage pink finishes it off perfectly. Vintage chic at it's best! I immediately liked this little handbag, but the price stopped me. On the day of Black Friday, thanks to a large discount, I ordered and bought this bright beauty. I will use the handbag as a makeup for all make-up - it was my original idea, because the size of the handbag and the bright durable material are good for this purpose. Handbag is quite high quality, roomy (you can even put a comb), but elegant and very bright, will always be in sight. I just dreamed of this. Earrings and a pendant with a pink stone in gold are so tender and refined, they will fit any summer dress. The stone-pendant in the pendant is open on both sides and is edged with a thin frame, the chain is very thin, it looks beautiful like a gold ornament. I like it. 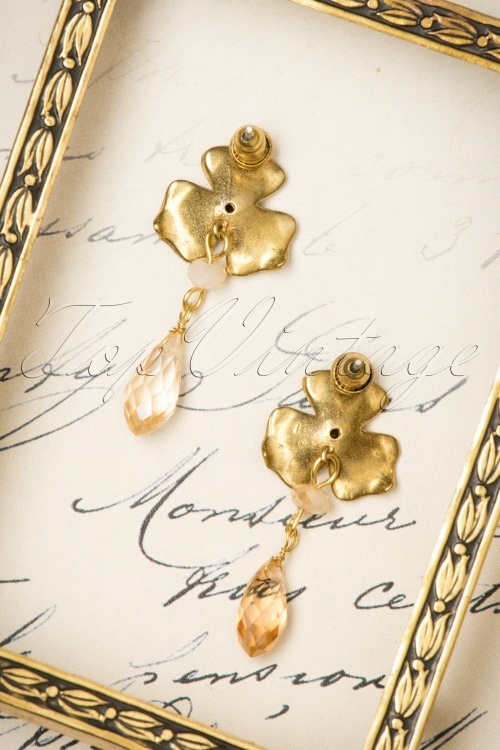 Rose earrings in gold are beautiful, made for frosted French gold, and the flower necklace, on the contrary, glitters, but thanks to the narrow format (width 1.2) and a small black blotches it looks beautiful. Tolle Ohrringe zu einem fantastischen Preis!